Head on over to Finish Canada and like them on facebook if you haven’t already because they just announced a new product to their family and they want to share a sample with their fans. 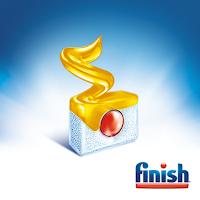 Click here to like Finish Canada on facebook. Finish Canada just posted: Please welcome FINISH® Quantum® Lemon SparkleTM to the family! Stay tuned for a FREE SAMPLE.